After first announcing its milestone update at the launch of the Xiaomi Mi 8 in China, Xiaomi has finally made available the Global version of its software called MIUI 10 in India. The Global version of the ROM was recently announced at the launch of the Xiaomi Redmi Y2 is now finally available to beta testers globally. While Xiaomi wants will eventually roll out the final version of MIUI 10 to a majority of its smartphones, the current list of devices that are supported by its global ROM is pretty short. This list of compatible devices include more recently launched devices like the Redmi Note 5, the Redmi Note 5 Pro, the Redmi S2, the Mi Mix 2 and the Mi Mix 2S. Out of these only the Redmi Note 5, Note 5 Pro and the Mi Mix 2 are on sale in India. The announcement of the same was made on the Mi Forums which also tells us that the Mi 6 too was a part of the list but the roll out for the same was suspended. Apart from the several UI interface changes, the latest version of MIUI 10 tagged as 8.6.14 also includes an updated Mi Browser, PWA (Progressive Web App) support and better search. There is also an addition to the App Vault which includes a new World Cup card. The update will arrive as an OTA notification after which users who are already on an older Global Beta ROM will be able to update directly. Those who are not on the Global Beta, will have to first register for the same before they can update to MIUI 10. Once registered, users can check for updates by heading into Settings, then About phone and then into System updates. Simply, tap Check for updates till you see a notification for the same. 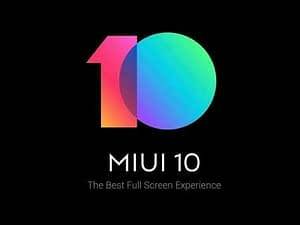 Those who are looking to update to MIUI 10 manually, will have to keep checking the forums as the links for the same are yet to be made available.